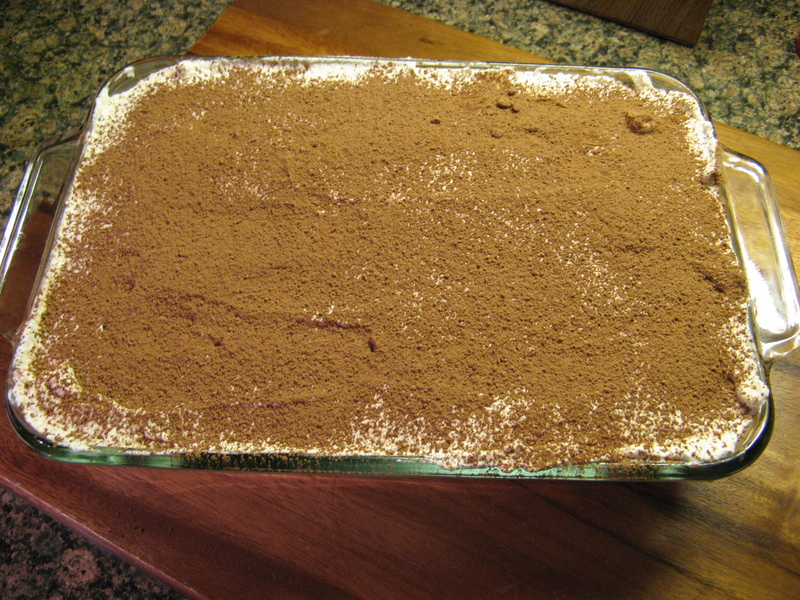 Tiramisu is one of my favorite desserts and I have tried making it quite a few times in the past and have always been unsuccessful. I think it was partly because I hadn’t honed in on my baking skills and whenever I would go to buy ladyfingers I could never find them. In case you were wondering, ladyfingers are an egg-based biscuit roughly shaped like a large finger. Well, this time I had the ladyfingers on hand after coming across them at the supermarket on sale and buying them in anticipation of making this dessert. I was determined to master this favorite dessert of time and not to toot my horn, but, I think it’s one of the best desserts I have ever made. Before assembling the tiramisu I had some prep work to do. I began by whisking egg yolks and sugar in a saucepan until they were well blended. I then added in whole milk and cooked the mixture over medium heat until it began to boil. After removing it from the heat I let the mixture cool slightly and then covered and refrigerated it for an hour. After removing it from the refrigerator I blended in mascarpone cheese until it was smooth. In another bowl I beat whipped cream and vanilla extract until stiff peaks formed. And in a third bowl I combined room temperature coffee with Kahlua. And finally dusted the top with unsweetened cocoa powder. I then covered it and refrigerated it overnight. And then the next day it was time to enjoy it and enjoy it I did! 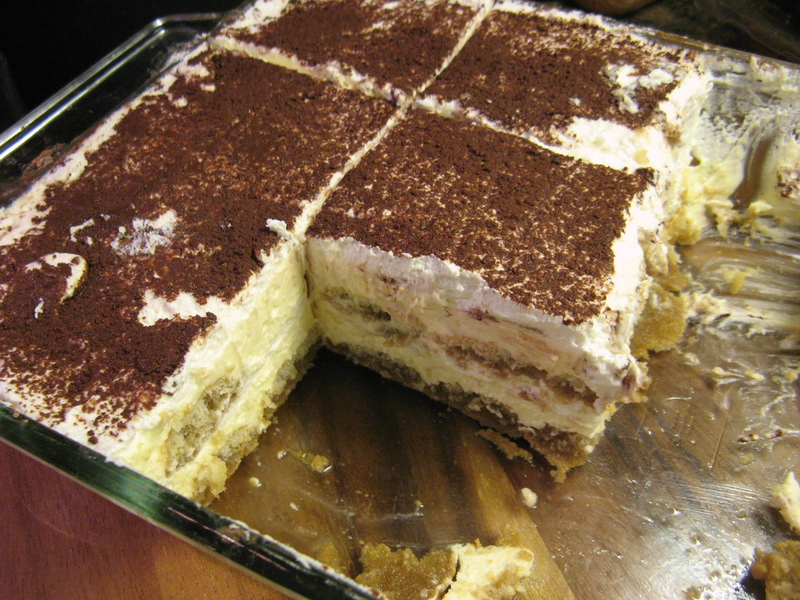 It was incredibly light and the ladyfingers while crisp beforehand absorbed the coffee/Kahlua perfectly as well as the mascarpone mixture that was directly spread on top of them. I have finally mastered one of my favorite desserts and will definitely be making it again sooner rather than later. In a medium saucepan whisk together the egg yolks and sugar until well combined. Whisk in the milk and cook over medium heat, stirring constantly until the mixture begins to boil. Boil for one minute then remove from the heat and cool slightly. Cover tightly and chill in the refrigerator for one hour. For best results transfer to a Tupperware with a tight fitted lid. 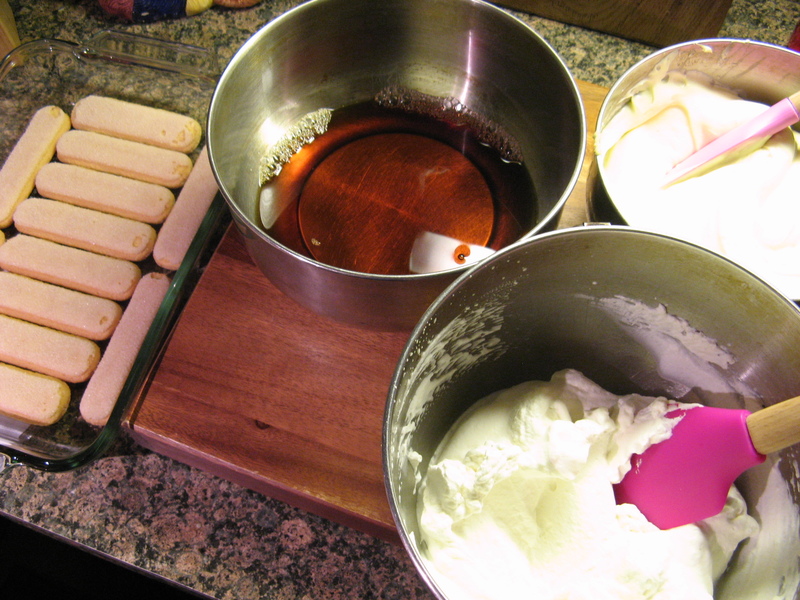 In a medium bowl combine the heavy cream and vanilla extract and beat until stiff peaks form. After one hour remove the egg mixture from the refrigerator and beat in the mascarpone until the mixture is smooth. In a small bowl, one large enough to lay the ladyfingers in, combine the coffee and Kahlua. Dip the ladyfingers in the mixture for a few seconds and then arrange them in an 8 x 11 inch dish. 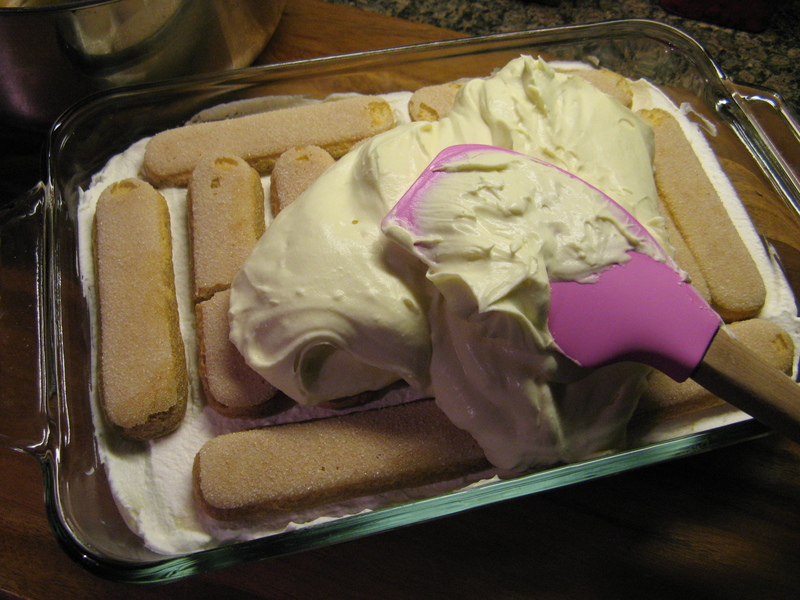 Spread half of the mascarpone mixture over the ladyfingers and then half of the whipped cream over that. 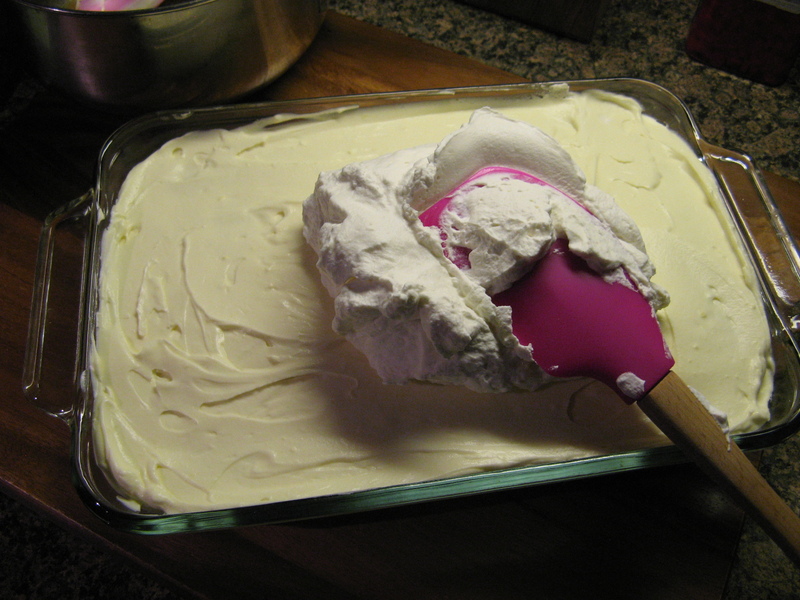 Repeat the layers with the remaining lady fingers, mascarpone mixture and whipped cream. Dust the top of the cocoa powder then cover with a sheet of parchment paper and then aluminum foil and refrigerate overnight.